‘The Nuck Stops Here’ is a Vancouver Canucks news, opinion, and analysis column that runs every Sunday throughout the regular season. It is being reported that forward Anton Rodin is not yet ready to return from injury. Rodin, 25, was the Swedish Hockey League MVP last season, but sustained a season-ending knee injury part way through the year. According to general manager Jim Benning, he is still in the process of rehabbing, and the Canucks aren’t aware of any set return date and the team is erring on the side of caution. Once he returns, Rodin will be expected to produce at a respectable secondary pace. The trade for Brandon Sutter last season was a controversial one, and even more so was his five year extension worth $21.875 million. Unfortunately for Sutter, touted as a gifted two-way centreman, 2015-16 did not bring with it a shot for him to prove himself, as injuries limited the 27-year-old to just 20 contests. This season is, in a lot of ways, the coming out party for Sutter, and so far, it’s playing more than okay for him. Through five games, Sutter has been a point-a-game player, putting up one goal (an overtime winner against the Carolina Hurricanes) and four assists, along with a shootout winner on opening night. 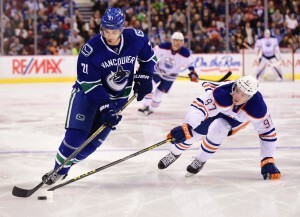 He has been an effective defensive presence, and has, overall, been arguably Vancouver’s top forward. While an 82 point season is far from a possibility, Sutter is proving himself to be a valuable part of the supporting cast and has put a 20 goal, 50 point campaign on the radar for 2016-17. The fact that he’s potted two already is tremendous in ensuring his self-confidence. 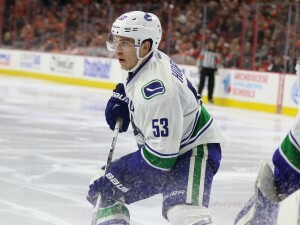 Had Horvat struggled to score in the first five games of the year, he would continue to develop the label of being a ‘slow starter’, and in just his third campaign, that could be damaging to his growth. To have even a flash of production is big for the centre, and while on would like to see his overall offensive numbers improve, this is a big first step for the 21-year old. What he’ll finish with is a whole other story, but for now, he has been far from an issue for the Canucks.